The ninth session of the 12th Communist Party of Vietnam (CPV) Central Committee took place in Hanoi on December 25-26. The committee discussed the personnel planning of the CPV Central Committee for the 2021-2026 tenure and conducted a vote of confidence on members of the Party Central Committee’s Politburo and Secretariat. The participants also gave comments on a review report on the leadership and instruction of the Politburo and Secretariat in 2018, as well as considering and taking disciplinary measures against officials in line with the Party’s regulations. Vietnam's economic growth rate in 2018 is 7.08%. 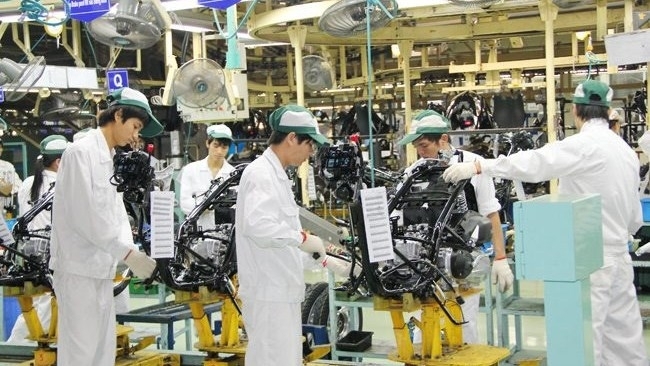 The Vietnamese economy grew by 7.08% in 2018, the fastest rate in the past 11 years and beating the target of 6.7%. The country’s GDP in 2018 was estimated at VND5,535 trillion (US$238 billion), doubling the figure in 2011. The GDP per capita in 2018 rose by US$198 from the previous year to US$2,587. The 11-member Comprehensive and Progressive Agreement for Trans-Pacific Partnership (CPTPP) officially came into force on December 30. The trade deal was signed by 11 member states, namely Australia, Brunei, Canada, Chile, Japan, Malaysia, Mexico, New Zealand, Peru, Singapore and Vietnam, in Santiago in March 2018. 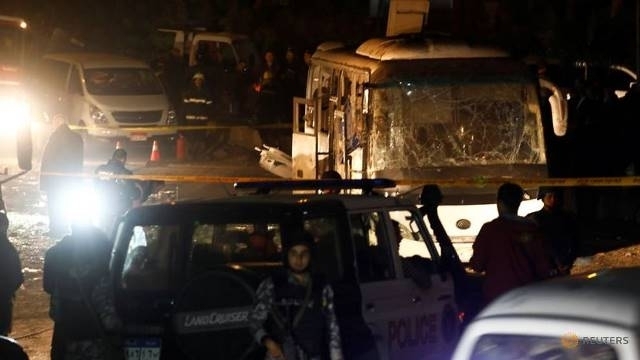 A roadside bomb blast hit a tour bus carrying Vietnamese tourists near the Giza Pyramids in Egypt at 18:15 (local time) (23:15 - Vietnamese time) on December 28, killing three Vietnamese tourists. The bus had 18 people on board including 15 Vietnamese tourists and three Egyptian people. Besides the three Vietnamese victims, one Egyptian guide was also killed. A cold spell hit many parts of the northern and north-central regions from early December 28 and will last for a week. This is the strongest cold wave to have hit the northern region since the beginning of this year’s winter. The cold air caused the temperature in Mau Son tourism complex in Loc Binh district, Lang Son province, to drop to minus 0.5C and in other localities decrease by 4 to 6C, accompanied by rains, with rainfall from 2 to 4mm. A happy and warm Christmas atmosphere prevailed over many provinces and cities around the country with sparkling streets, churches and parishes. Millions of parishioners and tourists went out onto the streets and churches to join the Christmas Eve celebrations. Track and field athlete Bui Thi Thu Thao, who won a gold medal for Vietnam at the 2018 Asian Games (ASIAD 2018) in Indonesia in August, was voted as the most outstanding athlete of Vietnam in 2018. Footballer Nguyen Quang Hai from the Hanoi FC, who made great contributions to helping Vietnam win the ASEAN Football Federation (AFF) Suzuki Cup 2018, ranked second. He was followed by swimmer Nguyen Huy Hoang from the central province of Quang Binh, who secured a silver medal at ASIAD 2018.